It was the wedding of the summer – on screen anyway. During our big TV shoot this week for Lake Erie Shores & Islands, Ashton got some serious screen time as a beautiful bride. 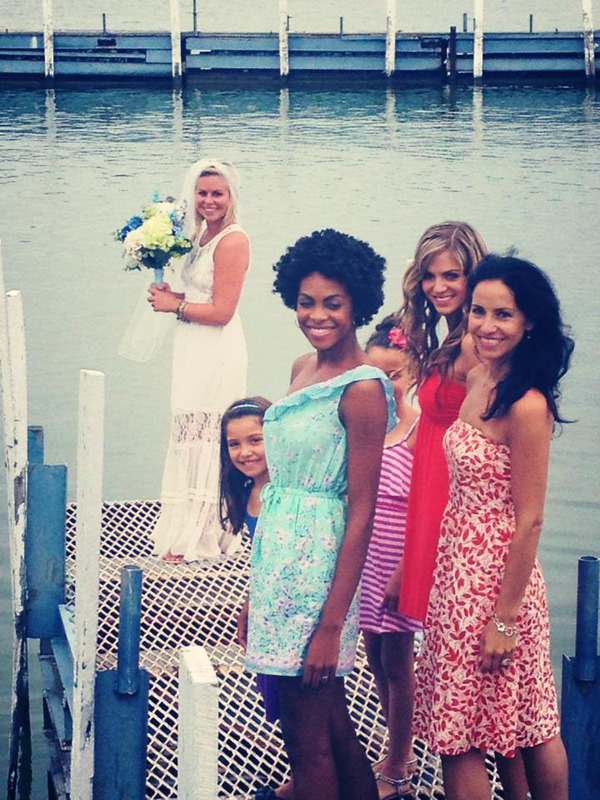 And luckily no one fell off the dock trying to catch the bouquet. 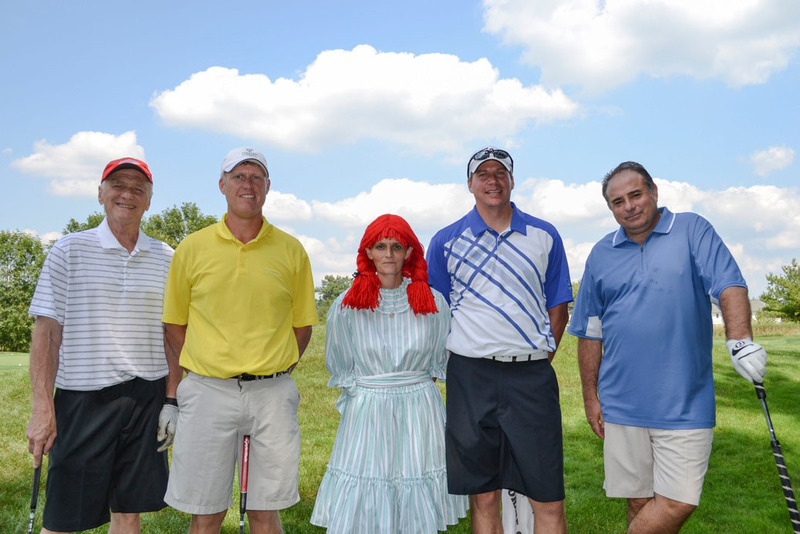 At a whopping 19 under par, Ron Sr. and this Fearsome Fothsome won first place at the Dave Thomas Golf Classic this week. Not only that, our own Marc Schmidt took the prize for longest drive. Way to drive for show and putt for dough, boys! 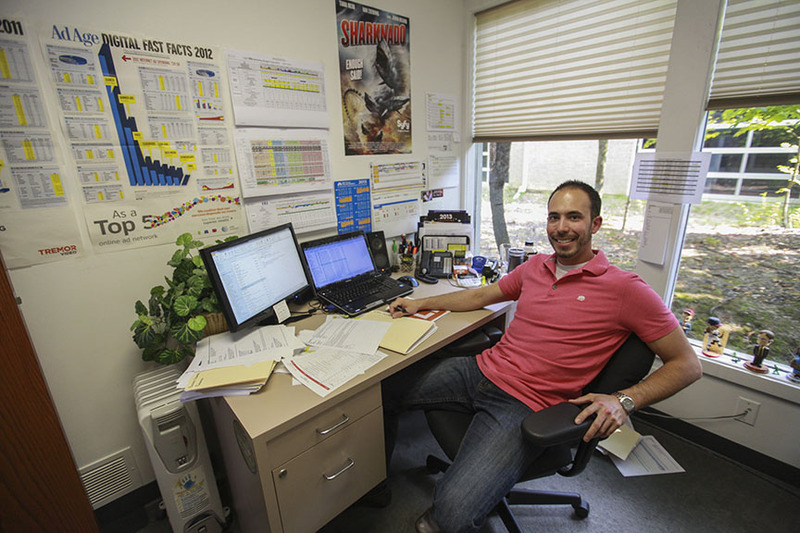 A big congratulations to Chris Straka on his promotion to Senior Media Planner/Buyer. He’s a digital media guru, and his expertise and out-of-the-box thinking have benefitted Safelite, Wendy’s, Nutramax, California Academy of Sciences and more. And while his media skills are beyond question, that “Sharknado” poster makes us realize his taste in movies isn’t. 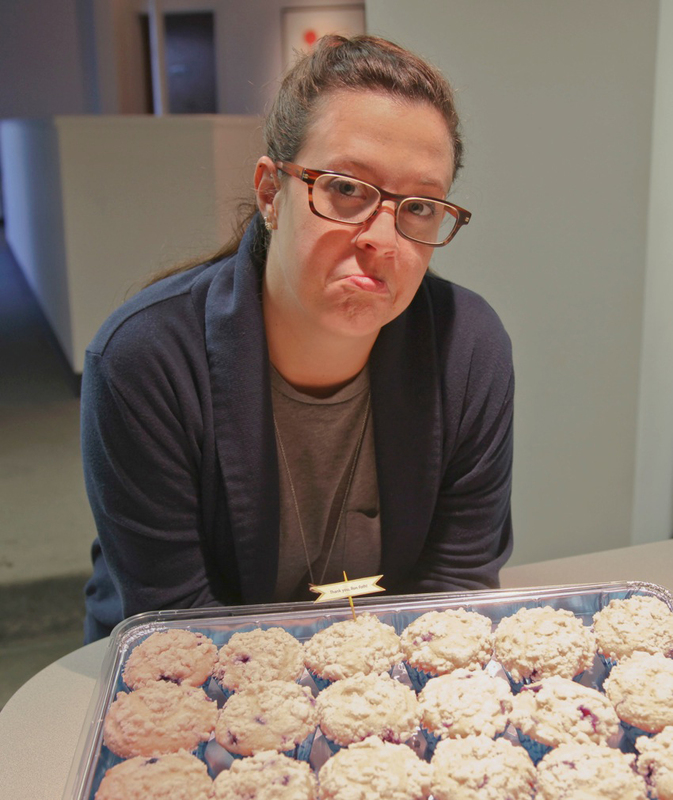 Today’s the last day for our summer design intern, Sarah Baker. So she decided to say goodbye and thanks, fittingly enough, by baking these amazing blueberry muffins. Good luck back at school Sarah – and thanks for one well-designed tray of baked goods. Where do you find the best walleye tacos in the world? 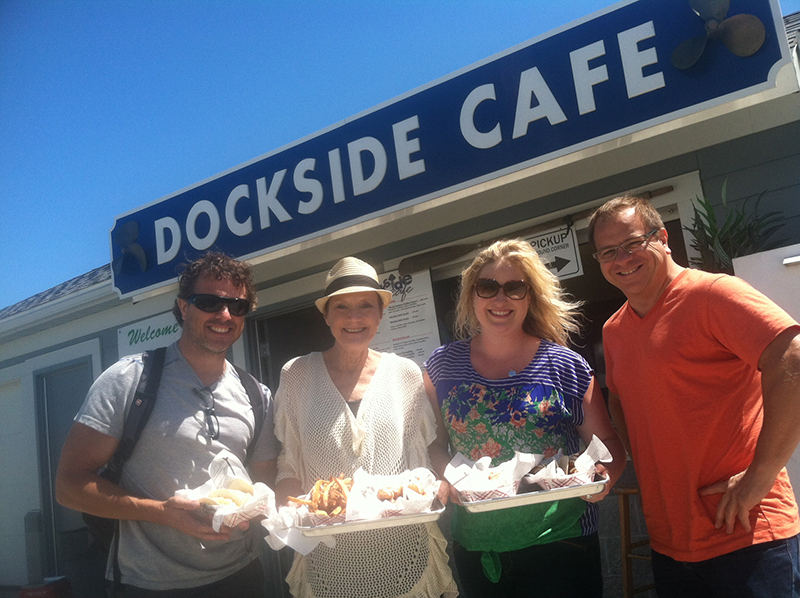 It can only be Lake Erie’s own Dockside CafÃ©. Here we are with our dear friend Joan scouting the next shores shoot. Delicious! Thanks to everyone in the Advertising Department at Beau Rivage Resort and Casino for making us feel so welcome. 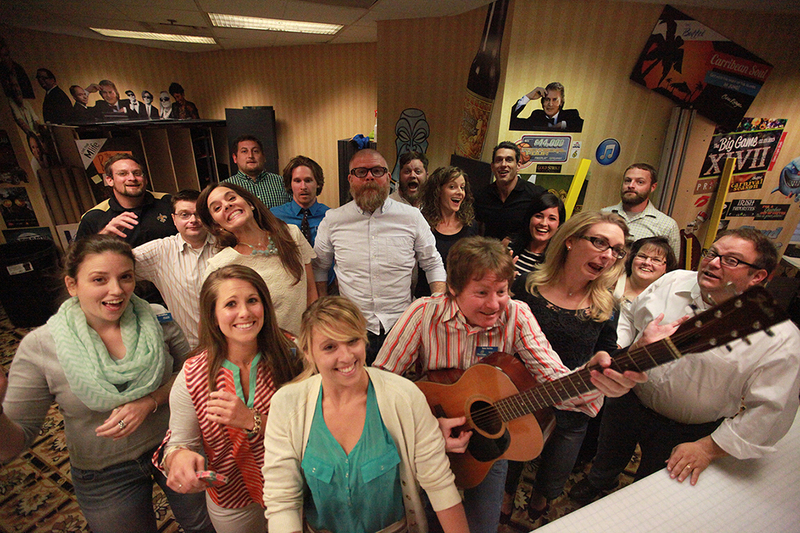 We really dig your creative scene! 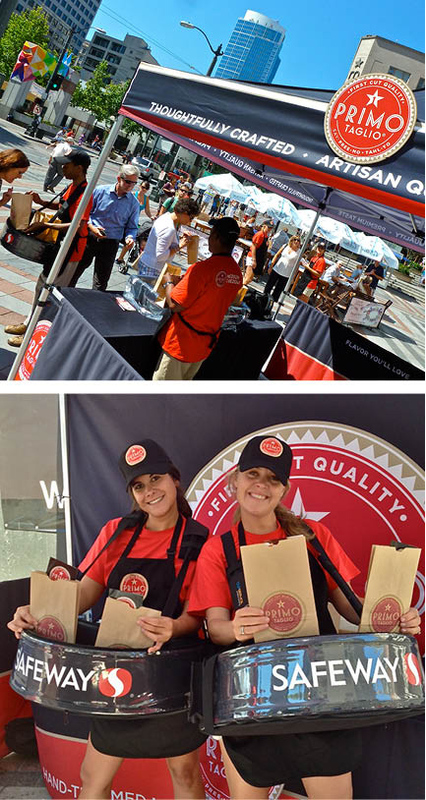 Seattle got a taste of “delizioso” this week when our team hit the streets with samples of Primo Taglio, Safeway’s artisan deli line of meats & cheeses. And we’re just getting started; our West Coast Taste Tour is headed for stops in Portland, San Francisco & LA!